Värvilised geelid There are 49 products. Lai valik kvaliteetseid värvilisi geele. Vaata ka Metallic, Neon, Pastel, Gel Paint, Mermaid, Diamond ja Glow in Dark värvilisi geele. Kokku valikus üle 130 erineva tooni värvilisi geele! Chic tootesarja oleme koondatud kõige šikimad ja kvaliteetsemad värvilised geelid. New palette of pastel colors gels - in light, soft shades. High work comfort is guaranteed by medium thick gel and its self-leveling properties. Acid free! The line of metallic shine gels. 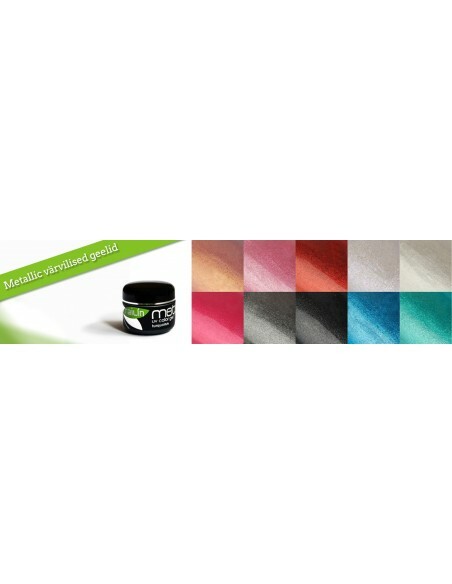 Trendy and dynamic colors, which enrich the look of your nails. Perfect cover, medium-thick. Perfect to glamorous addon on nails and tips. Experience incredible visual effects. 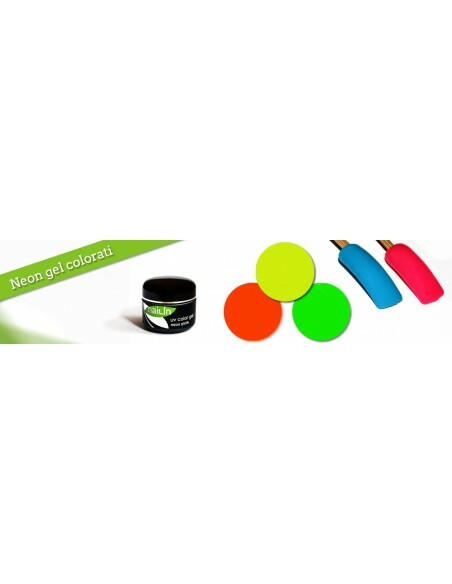 Neon color gels with high brightness and medium vicosity are perfect for creating stunning natural or artificial fingernails. 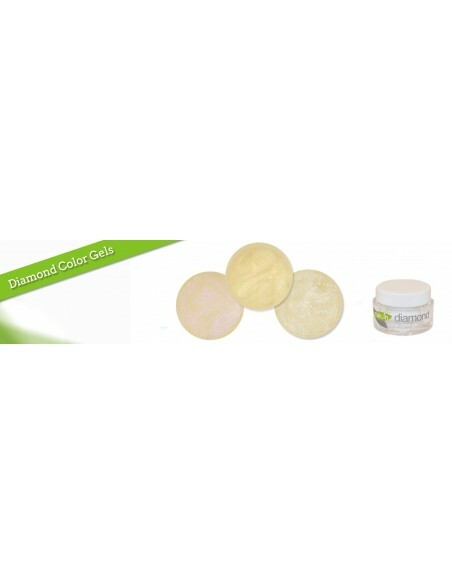 New Diamond color gels - starry sparkle with gentle rainbow effects and a very smooth surface. The unique Color Changing Gel turns your nails into a glorious play of colours. 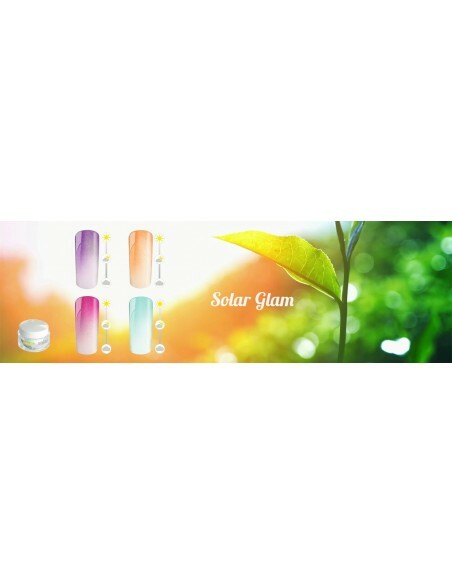 Thermo gels change the color based on the temperature of the nail plate and new Solar Glam gels are shimmering effect gels that change color with the sun light. High quality color gel with medium thickness that covers the nail plate with one layer. Brilliant color intensity and long lasting high gloss with beautiful mermeid effect shine. Gel is in acrylic jar. This color gel belongs to "chic" series where we have gathered our most chic and highest quality products. High quality color gel with medium thickness that covers the nail plate with one layer. Brilliant color intensity and long lasting high gloss. Gel is in acrylic jar. This color gel belongs to "chic" series where we have gathered our most chic and highest quality products.